Many Pharmacists have the ultimate goal of opening a Pharmacy, but the thought of going through the process can be overwhelming. Where do you start? What needs to be done? DON’T TRY TO DO THIS ALONE. WE ARE HERE TO HELP YOU EVERY STEP OF THE WAY! Missing the details can cost you thousands of dollars, too much stress and time or worse. This is where PRS can help. We have opened hundreds of new Pharmacies all over the U.S. Many of our experts have owned successful Pharmacies. Our Pharmacy Start-Up Experts know exactly how to do it down to the smallest of details. We have taken our years of knowledge and expertise to develop the services that will walk you through every step of opening a Pharmacy. Running a Pharmacy as a business is crucial to success in today’s tough business world. We will help you succeed every step of the way. I couldn’t have opened my Pharmacy without the assistance of PRS’s Team. Their attention to detail in all aspects of the process, from layout and design to getting all of the third parties enrolled was superb. The site evaluation they did prior to starting had Gross Profit projections for the first 24 months my store was open. They were right on target and there was plenty of other accurate information provided with my Site Evaluation! 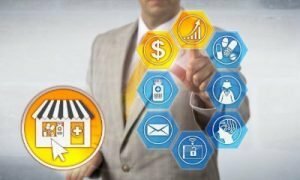 The first thing you need to do is determine if opening a Pharmacy at a specific location is financially wise? We can help! 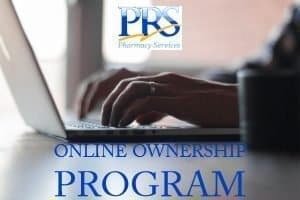 With this Turnkey Pharmacy Ownership Program, PRS specialists perform and cover virtually every aspect of opening a Pharmacy and maintaining it, from the initial concept, to set-up, through opening, on-going marketing and management oversight. We are with you every step on your way to ownership and do most of the work for you and we don’t stop at opening. Access to advice from our experienced Pharmacy Ownership specialists is available for an entire year as part of the program. Each service area may be purchased separately to design a custom program to meet your needs. Each service area can be purchased separately to design a custom program to meet your needs.